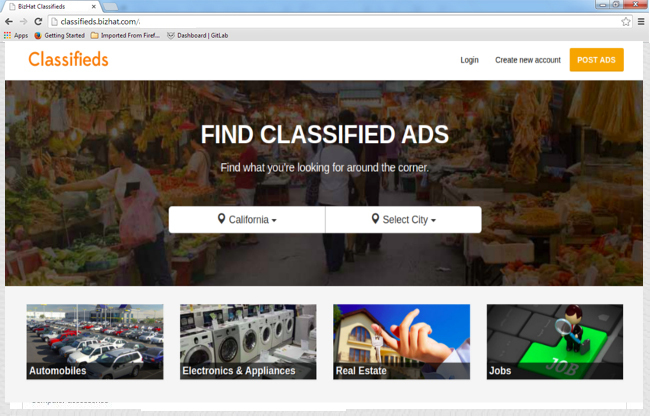 Start your own highly profitable classifieds website today! 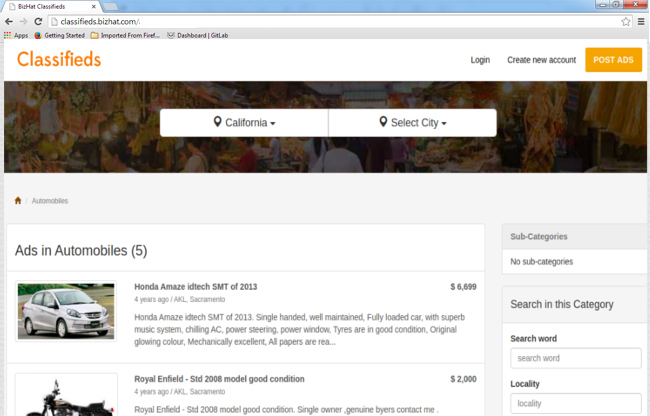 Classifieds script allow you to run your own classifieds portal. 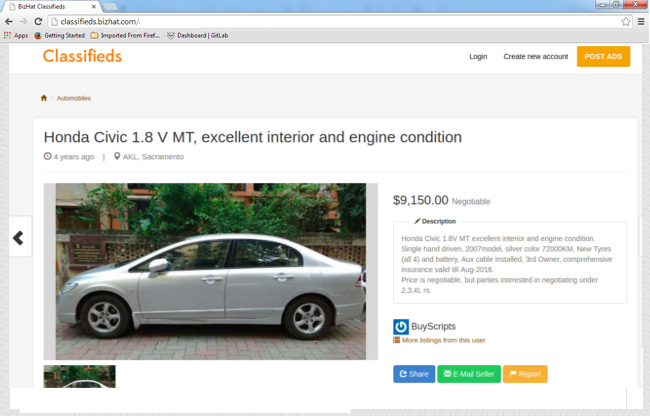 You can easily add, edit or delete categories and use it for any type of classifieds like Auto Classifieds, Business Listings, Job listings, Real Estate etc. 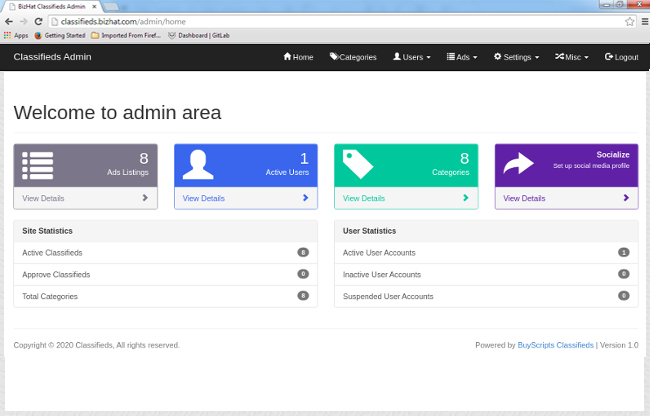 Visitors will be able to post ads to your website and able to view, edit and share existing ads. 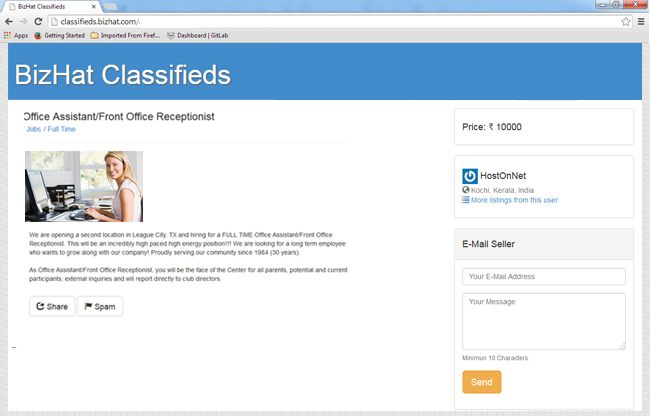 Classifieds script comes with default responsive theme which is mobile friendly. Responsive design has never been so important for those looking to optimise their online content and reach new users, since today a lot of the web traffic comes from tablets and mobile devices. The script is written in PHP and uses MySQL as database backend. 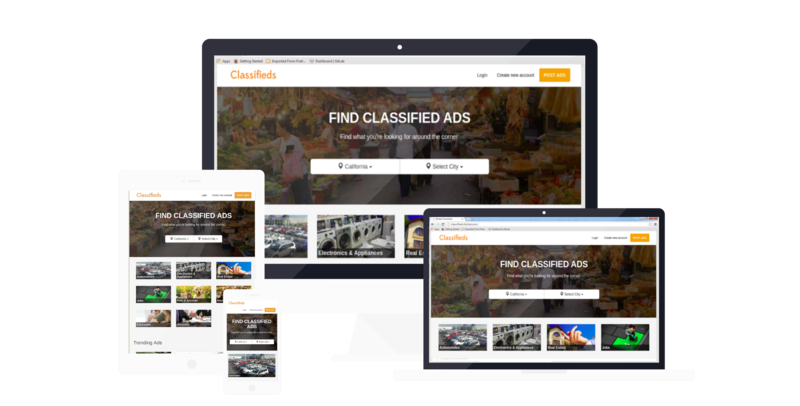 Classifieds script has amazing set of features for users and great earning opportunities for you, as a webmaster. You can own a highly profitable classifieds website which will earn for you for a small one time cost. Activate, suspend and delete users. Activate, inactivate, mark spam, edit & delete ads. Default currency and locations etc.